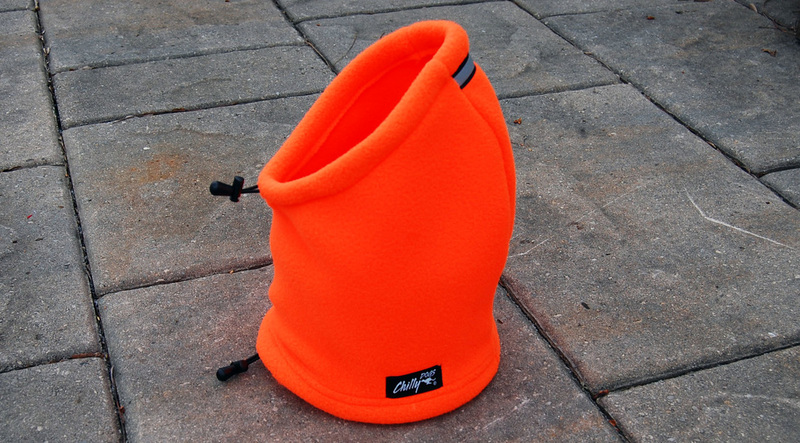 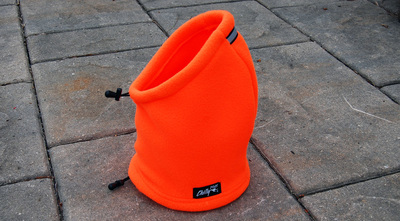 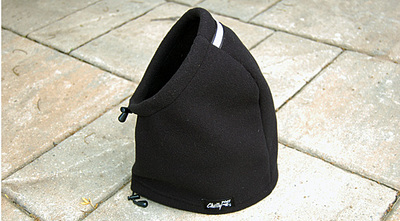 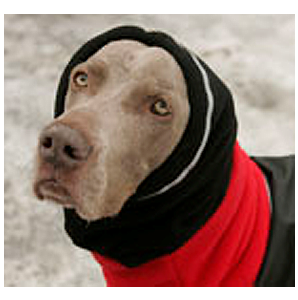 The Head Muff™ is an ear and neck warmer, the perfect product to add to any of our dog apparel during the coldest months. 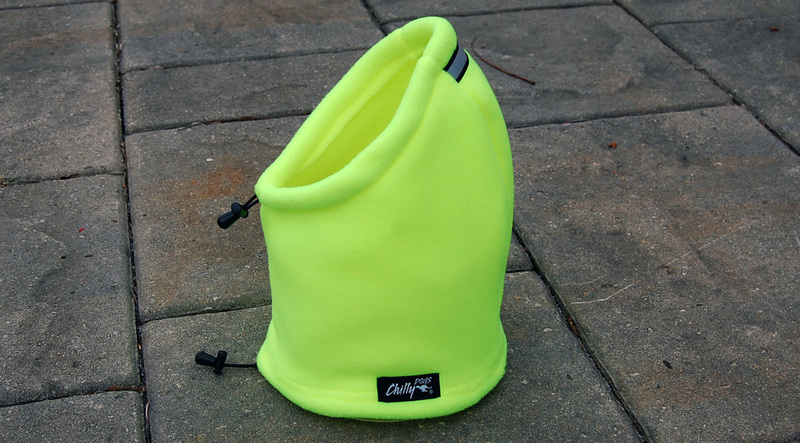 The fit and comfort is achieved with the contoured shape and adjustable elastic cord around the face and neck. 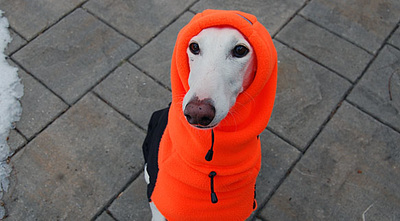 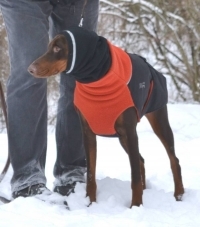 Ideal for breeds with cropped or thin-skinned ears that are susceptible to frost bite. 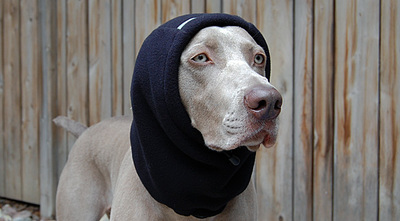 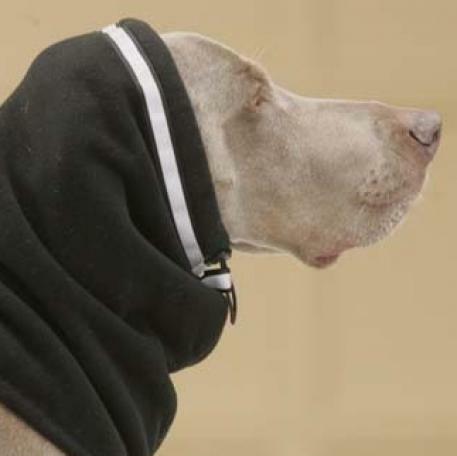 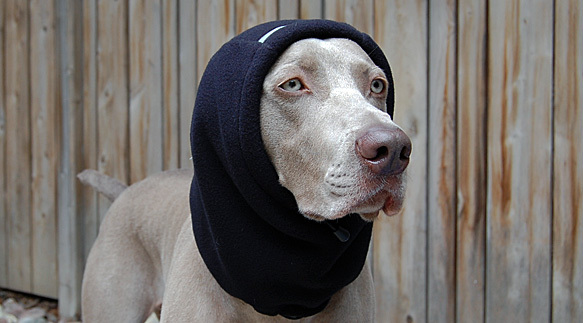 Example breeds: Boxers, Dachshunds, Dobermans, Great Danes, Sight hounds, Vizslas..... Weimaraners. Elastic cord tightens around the face/neck opening which is secured with a cord locks. 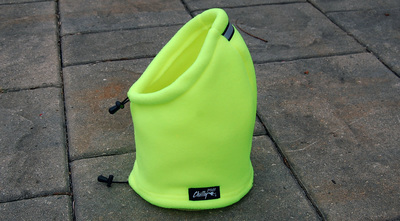 3M Scotchlite™ reflective trim is added for night visibility.